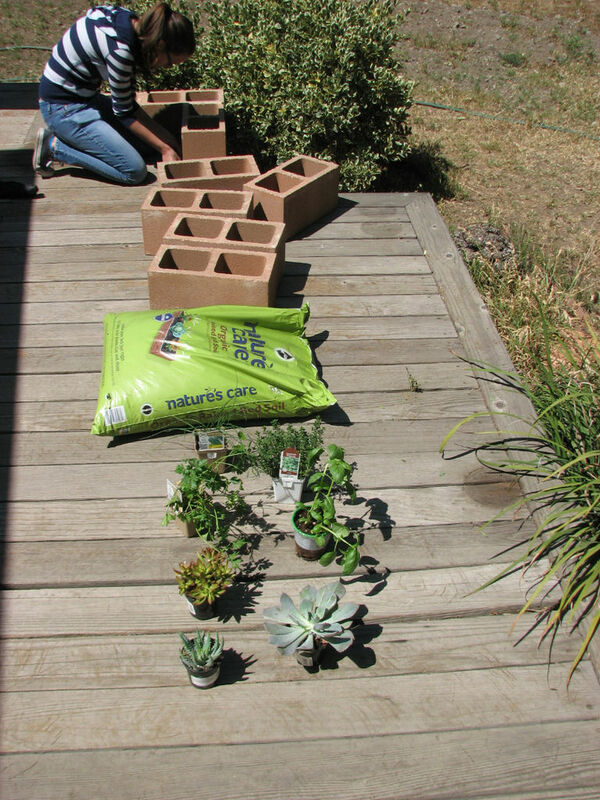 The kids were home from college and one wanted to plant some herbs for his summer cooking, the other wanted to make a succulent garden. Since we are under drought conditions and have to cut our water by 30 percent, something that wouldn't require a lot of watering was necessary. 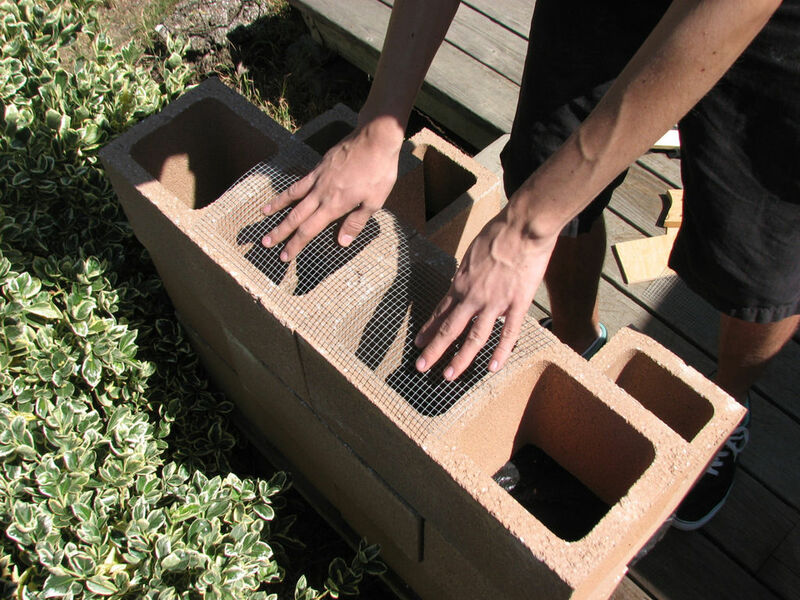 This cinder block block planter worked for both! Try stacking the block in different ways to see which will work the best for your space to create interest. 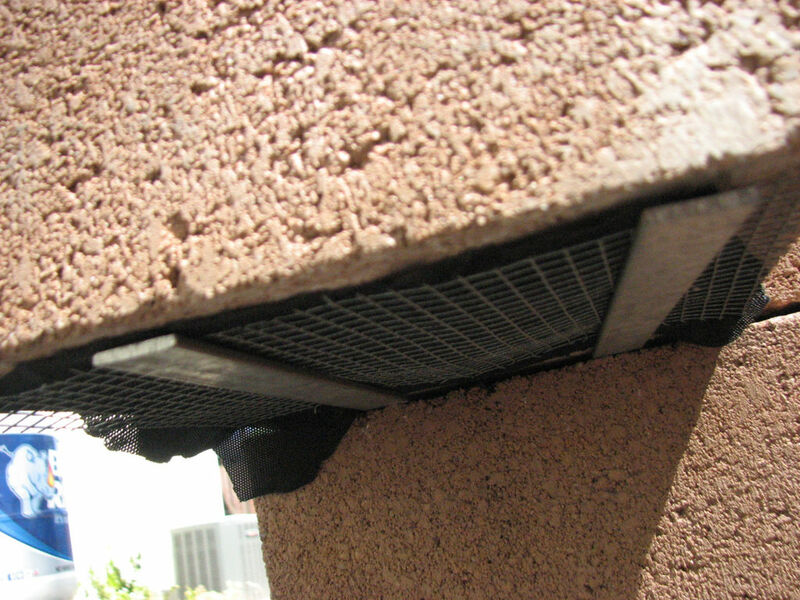 To hold the soil up in a single block cavity rather than fill each cavity deep, wire mesh and landscape fabric were cut and put under the blocks to hold the soil and let water drain. Put the mesh first and then cover with the fabric. To create some interest one block was cantilevered (sticking out and only fixed in place at one end). Two strip of metal were cut to length and put under the block to hold the wire mesh and fabric in place. 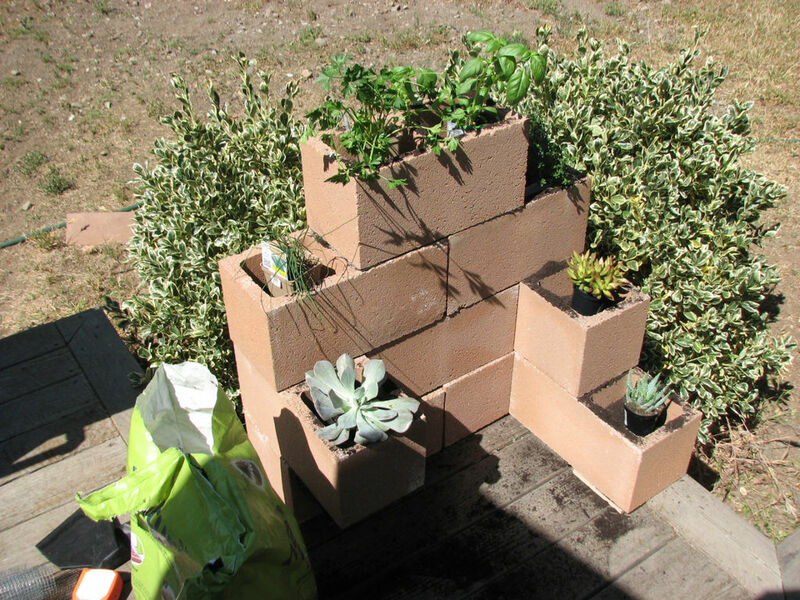 Now it is time to fill the blocks with soil and plant the plants. 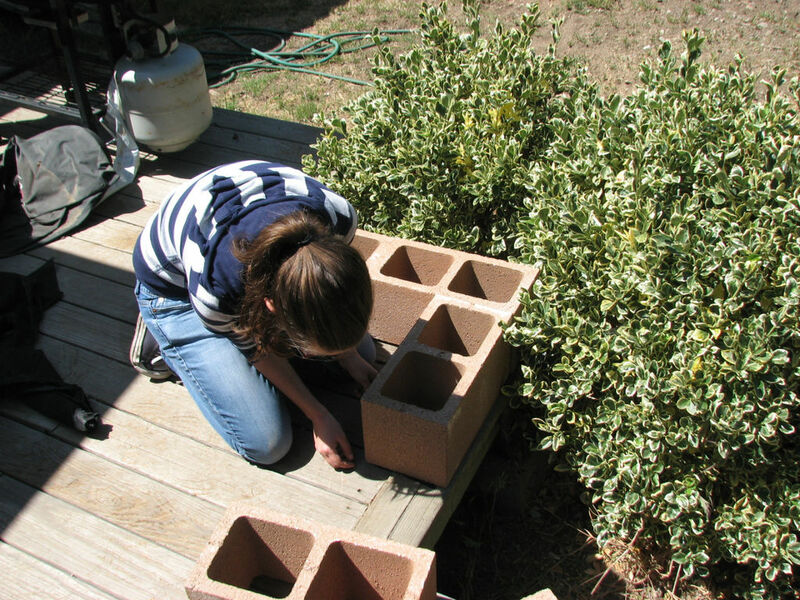 Some cinder blocks at the brickyard had larger holes then others, so you may want to do some research before buying your blocks. This post is adapted from an Instructable by Plipvert. Did you have a go at this project? Let us know how you went in the comments below!